R-ice, r-ice, baby! 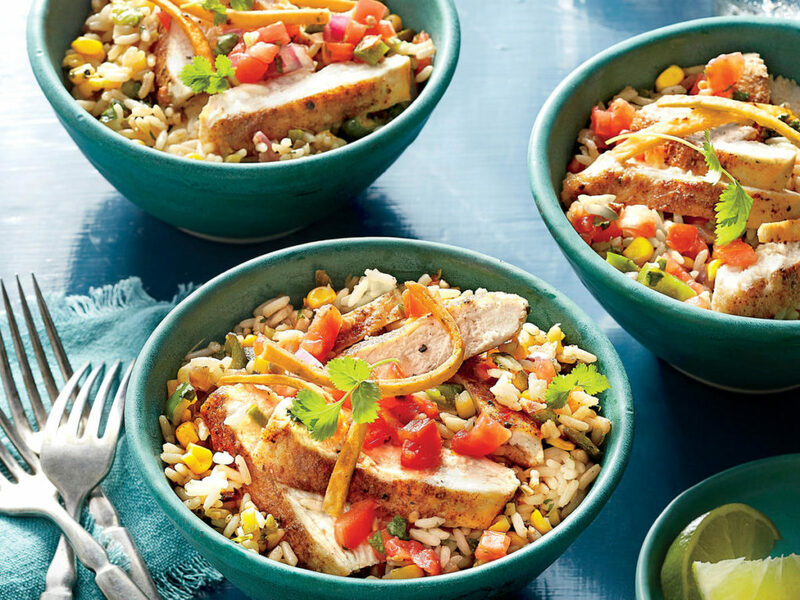 Believe it or not, rice is actually one of the most versatile staple foods out there. You probably only think about rice as being on the side of meat, but, it’s actually one of tastiest and most filling of foods. And, like we said, it’s incredibly versatile, and there is so much you can do with it. There’s always that one friend who swears off carbs and will have you do the same, but you shouldn’t pay them too much mind! Rice is an integral part of dinner table dynamics, and we suggest you look for as many ways as you can to get more rice in your life. The great thing is that rice is cheap and filling, and, if you have it in the cupboard, you’ll always be able to rustle something up. These are five pretty rad dishes you can make with rice – you definitely need to try out as many of these as you can right now. Perhaps the easiest thing to rustle up, and packed full of energy and tasty flavors. Plus, you get to combine it with chicken, the most versatile meat as well. The best thing is you can even use chicken cutlets and microwaveable rice to make things much quicker and easier. You’re also free to flavor it with whatever you want. Think Tex-Mex – salsa, jalapeno, lime juice, even the odd tortilla strip. This is perfect for lunch, or as part of a dinner, and it will take you no time at all to rustle up. Yes, it’s a classic, and it contains rice, so there’s no reason not to put it down. If you’re feeling lazy/indulgent you might prefer to order takeout curry, but, why not consider making your own. There are some excellent recipes out there, including a Weight Watchers one for those who want to be a little healthier. The rice is the centerpiece to any delicious curry, so make sure you have plenty of it to go around. 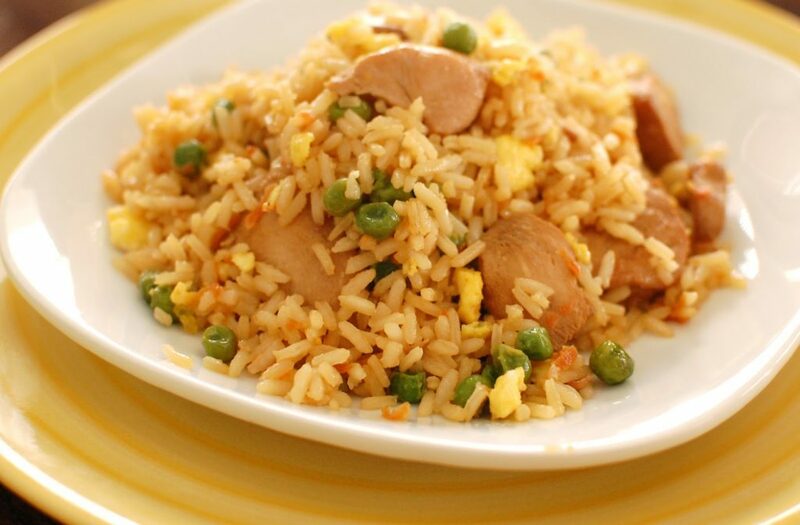 There’s just something about chicken and rice that seems to go so well together, and here is another excellent dish you can cook – chicken fried rice. You can enjoy a taste of Asia on a much more regular basis, with the Chinese classic. Sure, it might not taste as good as the stuff you order from China Palace, but it will be your own, and that makes it special. Chicken fried rice is the perfect way of enjoying a Friday night, and, if it’s good enough, you can sub it in for your normal takeout, saving $$$ in the process. Okay, so chicken is ace, but you know what we prefer? Sausage. There’s just something about that smokey, porky flavor that is unmistakeable. Skillet sausage and rice is one of our favorite dishes to knock up. A pound of smoked sausage, onions, chopped pepper, and some chicken broth are all you need to add to your rice to make this heavenly dish. Trust us, mealtimes just got real! Here’s one for the veggies – meat is totally optional here, so just don’t add it in. 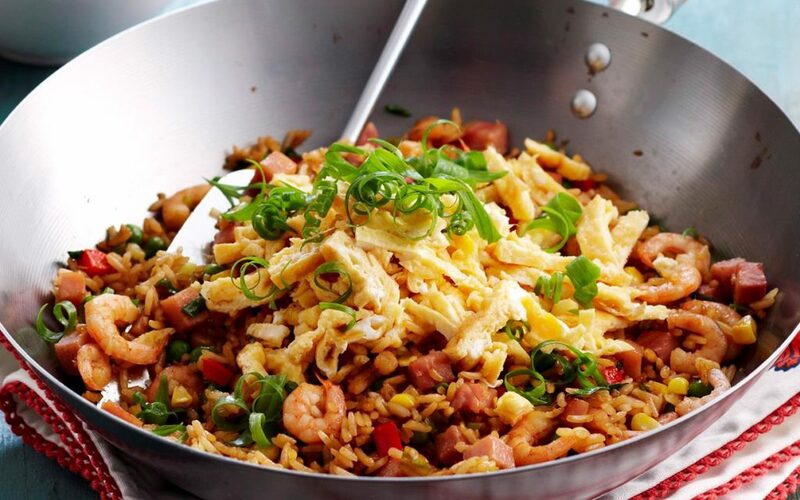 Basic fried rice is one of the best ways of getting the perfect flavor out of your rice. All you’ll need is long grain rice, and whatever you want to add in – chili sauce, peppers, and peas are a definite must, and you could also topping with onions and nuts. And, if you’ve got family or friends over, you can just add meat to their portions. Delicious! These are just 5 of the epic dishes you can rustle up with rice – like we said before, it’s pretty darn versatile! These quick and easy dishes can be prepared and cooked very quickly, and are the perfect thing to sate your appetite. In fact, it might just have supplanted pasta as our favorite carb – just don’t tell the spaghetti!